How to make cord necklace. 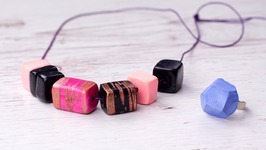 In our new tutorial we'll craft an awesome colorful necklace using ordinary cord. 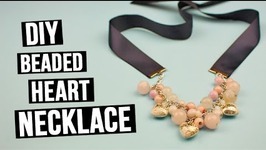 How to make DIY braided statement necklace. In today's tutorial we'll create an original handmade necklace using simple threads. 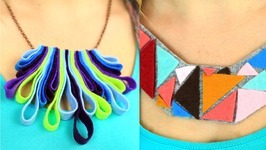 How to make bright unique DIY necklaces. 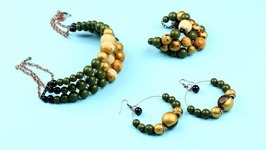 Today we'll show you 5 simple smart jewelry ideas which you can create using multicolor cords . 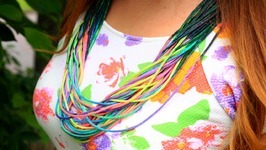 How to make DIY rope wool necklace. 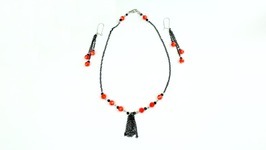 Today we'll create a bright rope necklace with felted wool beads. 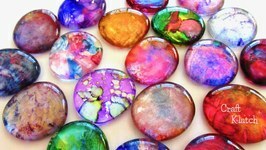 Such a unique DIY beaded necklace will both accomplish your image ..
How to make felt ball necklace. In this tutorial we'll make felt balls with an awesome spiral pattern and then create a cute felt ball necklace. How to make heart shaped earrings. 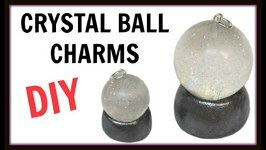 In this tutorial we will show you the way of making stylish yarn earrings for Valentines Day. 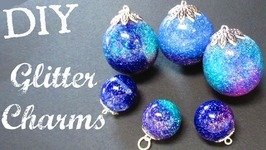 How to make polymer clay jewelry. 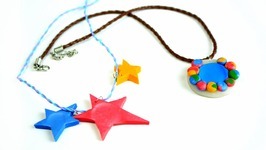 In today's tutorial well make a stylish geometric design polymer clay necklace and ring. How to make fingerprint necklace. 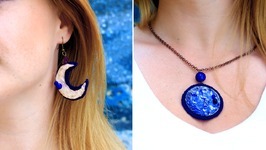 In our new tutorial you will learn a new ideas of making necklaces in polymer clay. 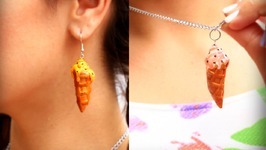 These easy DIY accessories will be a unique jewelry. 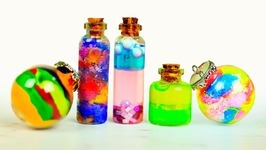 Create easy resin and glitter sphere charms. I'll show you how to in this DIY craft tutorial! 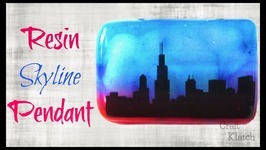 Music by Kevin MacLeod (Bumbly March Whiskey on the ..
Do you want an easy resin project - great for beginners or any skill level? 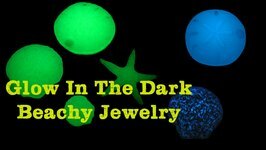 How about some glow in the dark beachy jewelry? 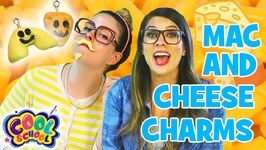 I'll show you how in this DIY craft tutorial! 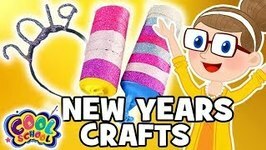 ..
DIY Monster High Bracelet Jewelry Bangle Set How To Make Monster High Jewelry - What a cool DIY Monster High Jewelry Set! Here we review the Monster High Fashion Bracelet ..